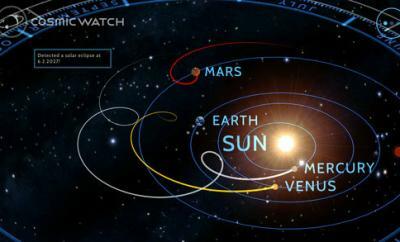 We all hear about the latest meteor showers through science programs and websites. In these hectic times, some may find it challenging to actually keep track of the exact date they can catch the next meteor shower. 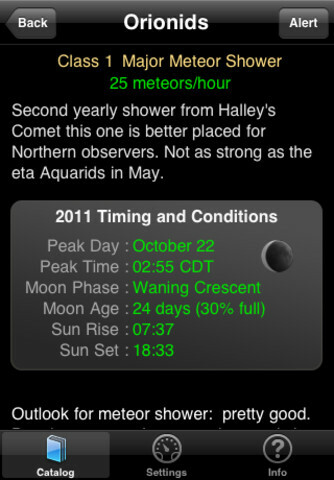 Meteor Shower Guide is a tool that simplifies the process. It shows you when you can catch the next meteor shower on your mobile device. 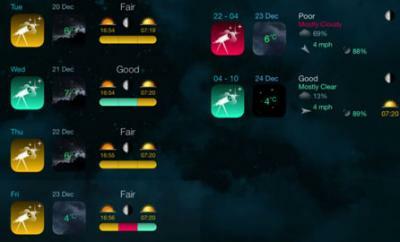 Meteor Shower Guide tells you when you can expect to catch the next meteor shower. The list of upcoming events are included in an easy-to-follow fashion. The alert functionality reminds you about upcoming events so you won’t miss them. Meteor Shower Guide included meteor showers included in the International Meteor Organization and American Meteor Society lists. 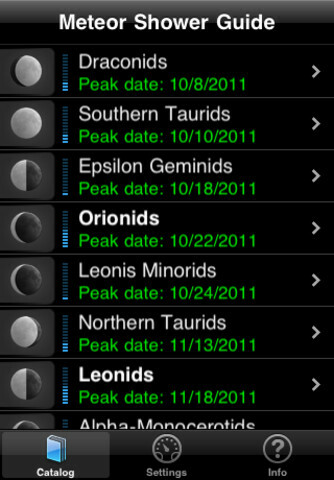 As you can see in the above screenshot, this guide shows you relevant information about each event, including peak day/time, moon phase/age, and sun rise/set times. It lets you view meteor showers happening in future years, which is nice. 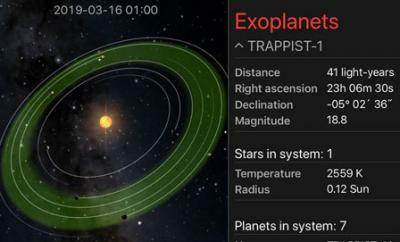 Not a bad tool to have if you want to avoid missing the next meteor shower event.